Please contact me via e-mail at heasom (at) gmail.com, or via telephone at (312) 218-5719. I am an internationally published writer/photographer with a flair for capturing the essence of a person or place. While my specialties are travel and health, I love new challenges and am always willing to consider different projects. Past article topics have included cruises in China and Alaska, a bicycle tour in NYC, arthritis, and Enron trial's litigation support personnel (cover story). Photo assignments have included casual portraits of an investor for a financial magazine and images for a financial firm's website. 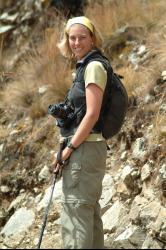 Travel expertise: US, Asia, South America, Antarctica, adventure, family travel.